We sat on our balcony and watched as our cruise set sail for the high seas. Our first full day at sea comprised of sleeping, eating, drinking and repeat. During that cycle, I managed to find time to attend an activity entitled “Pop Choir: Sound of Music”. The description sounded amazing and too good not to investigate. 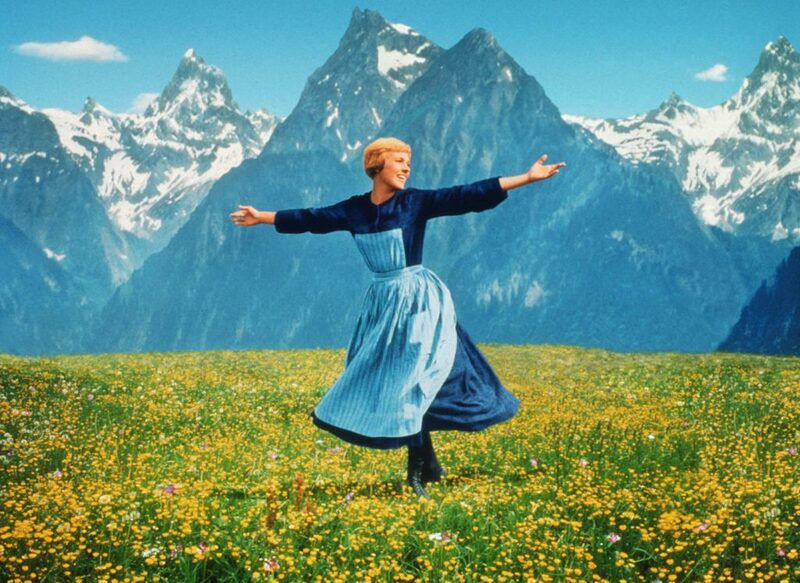 After attending the entitled activity, which turned out to be a rehearsal, I had somehow managed to be signed up to be in a choir who sang only Sound of Music songs. 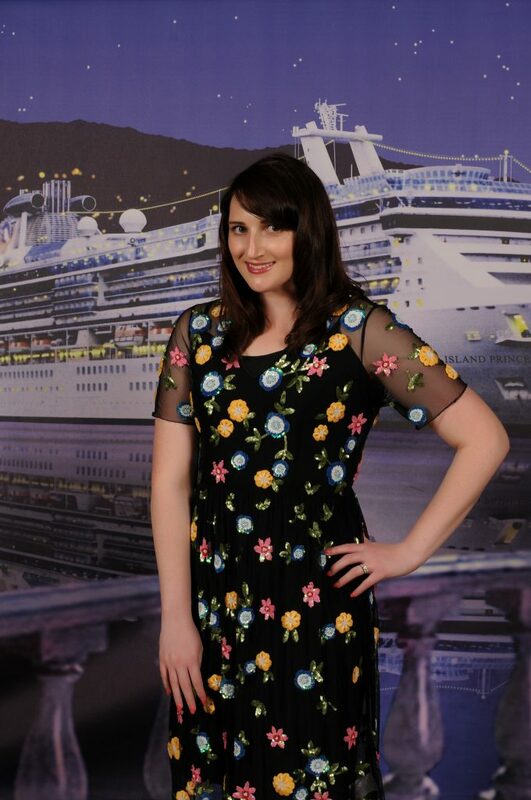 I had now committed to attend every rehearsal and to perform in the choir at the closing night cruise performance. I was really hoping that the final performance included compulsory nun costumes. Our second full day at sea also comprised of the sleep, eat, drink repeat cycle. We managed to fit trivia into our day and even came in first place, each winning a light up keyring . #lame. We enjoyed a very happy “happy hour”, which involved “buy one cocktail, get the second for $1”. I was enjoying it so much that I was late for my Sound of Music choir rehearsal. A cruise is probably the only place where my excuse, “Sorry I’m late, I was enjoying happy hour in the bar”, is quite acceptable. 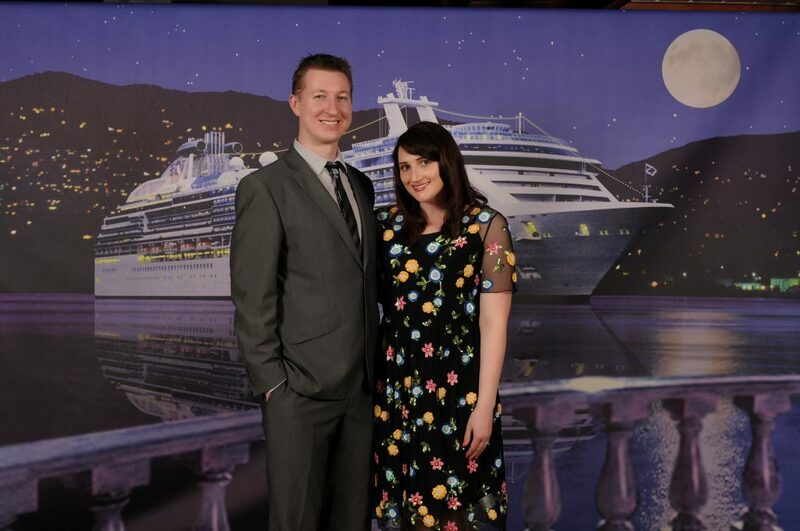 By evening, it was time to get all dressed up for one of the cruise’s formal nights. 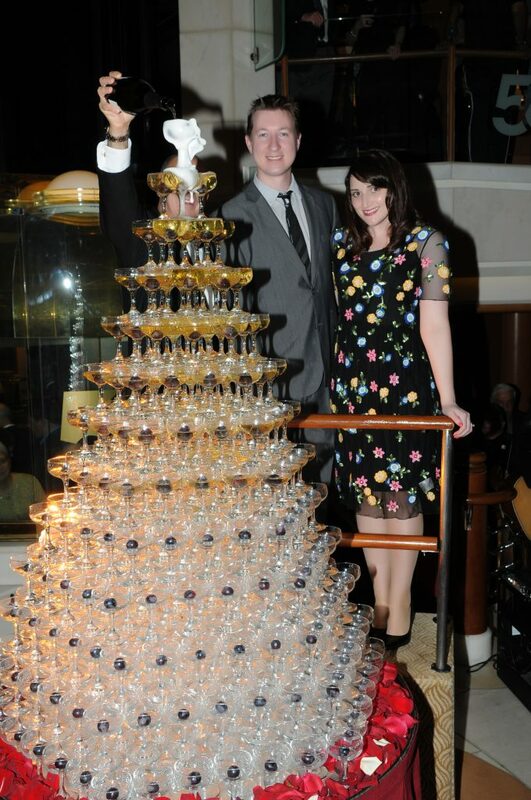 The night included an impressive champagne fountain. However, one of the best parts of these nights is having a photo taken in front of one of their cheesy backdrops. The photographer moves your body like a mannequin in unnatural positions until they get you into the position for what they perceive to be the perfect shot. 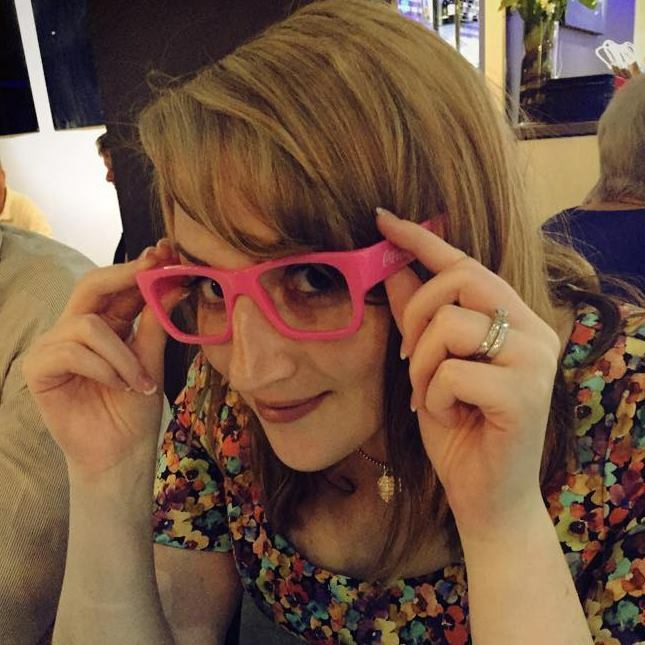 The result is a completely unnatural photo that is hilariously bad. 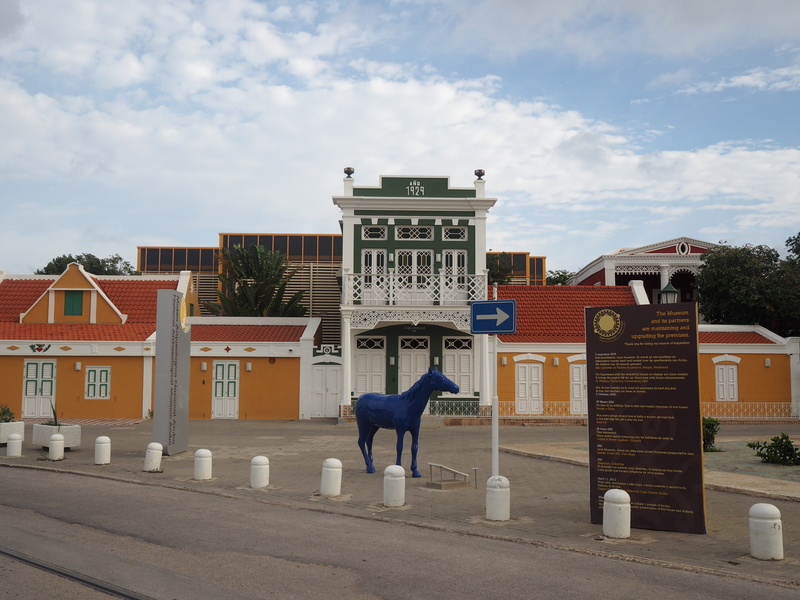 After couple of days at sea, we finally arrived at our first land destination, Oranjestad, Aruba. 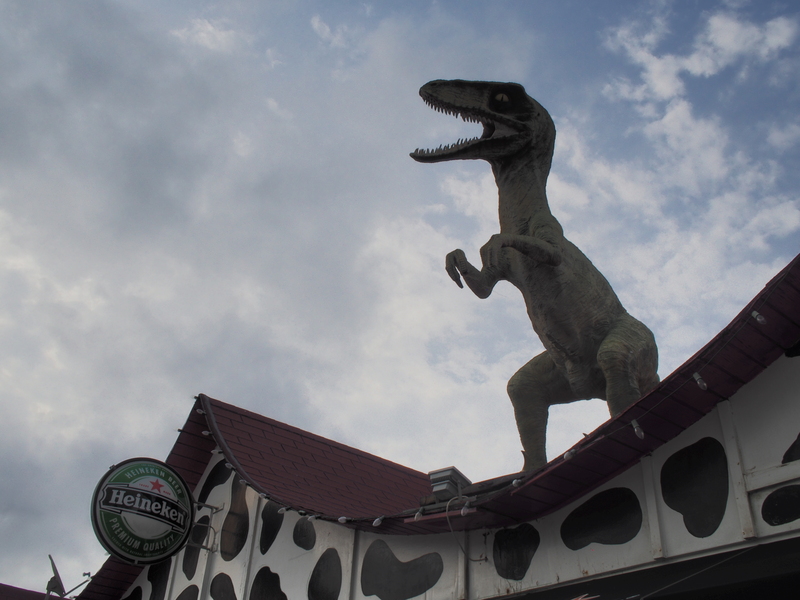 Every time this place was mentioned, I would get that Beach Boys’ song (Kokomo) stuck in my head. 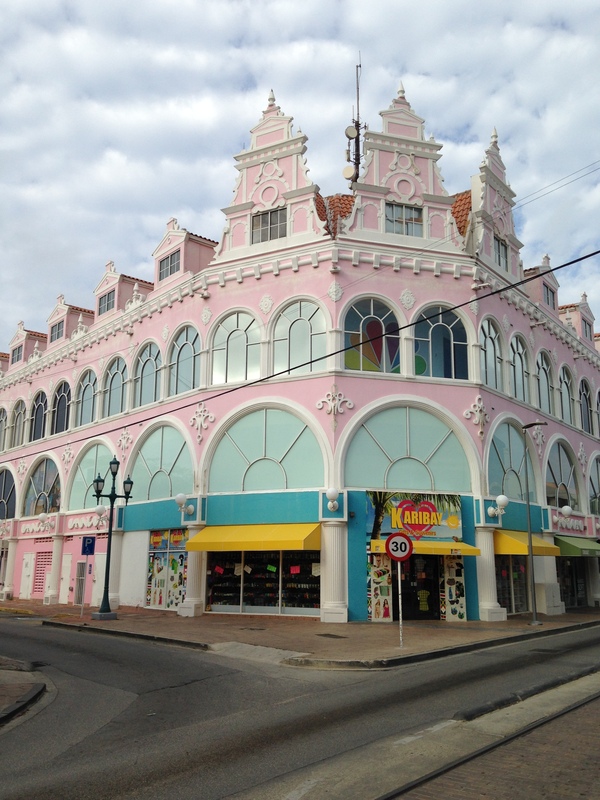 …”ARUBA, Jamaica, ooooh I want to take you to”…. 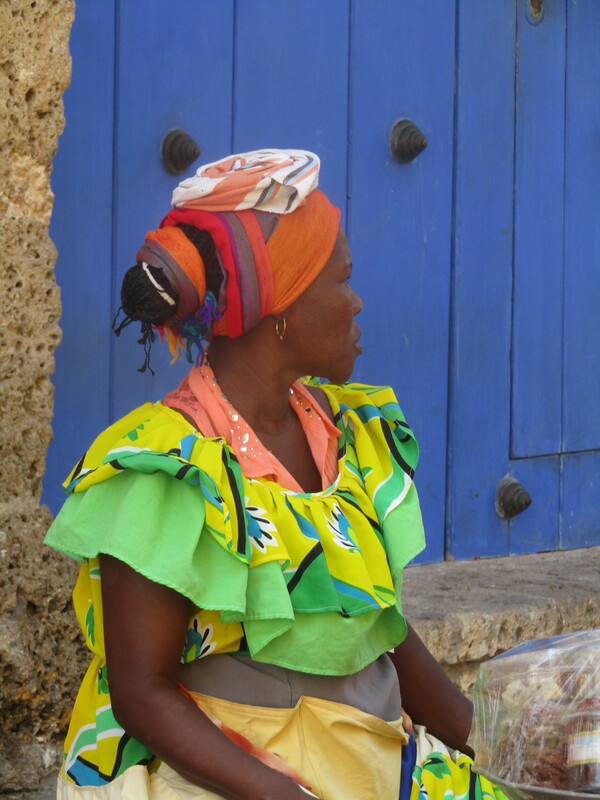 On the way back to the ship, I bought a handicraft from an Aruban art shop to take home. 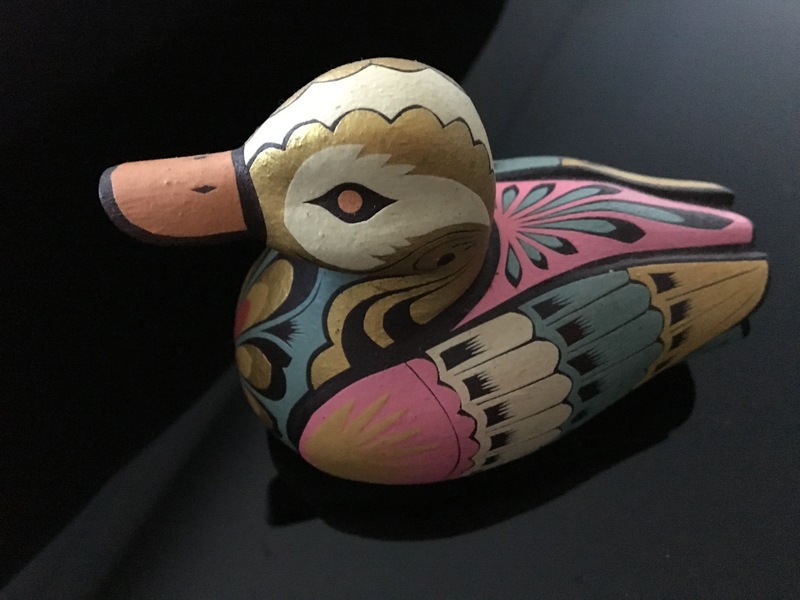 This wooden duck was not actually painted, but instead decorated using buds from the mopa mopa plant, a technique that originated in the Amazon. 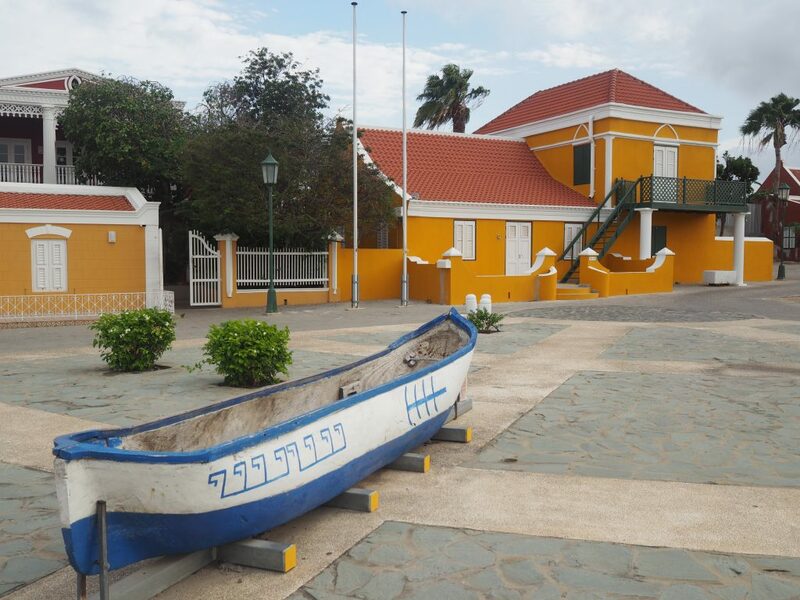 Mopa Mopa art, Oranjestad, Aruba. 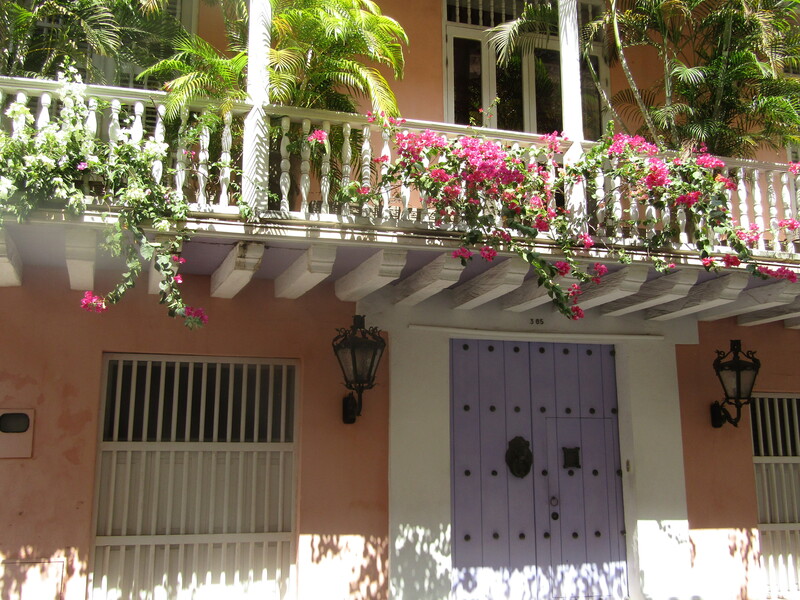 An overnight trip at sea brought us to Cartagena, Colombia. 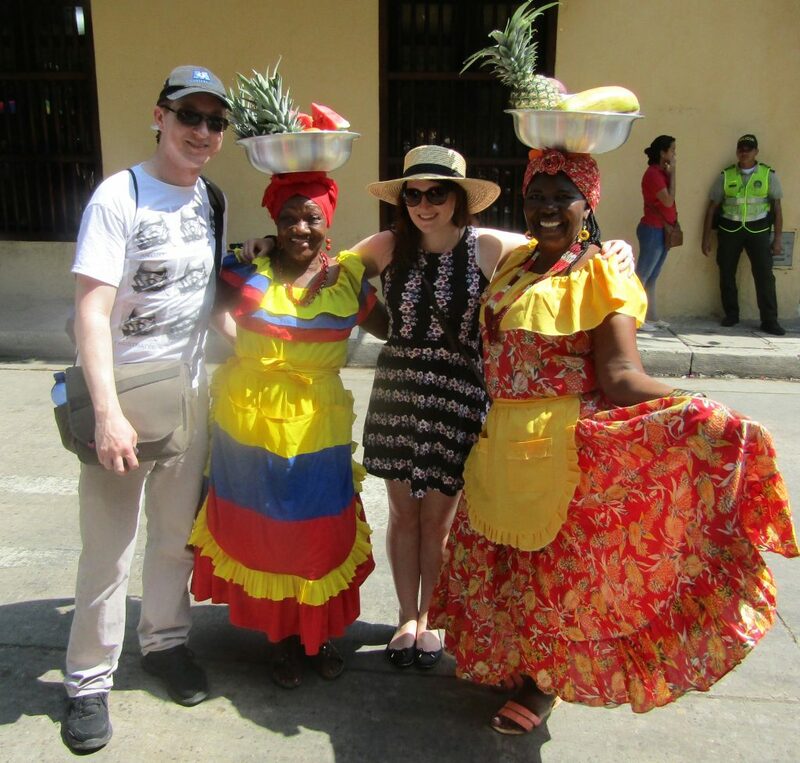 We were taken on a tour to the old city and were greeted by women carrying bowls of fruit on their heads. 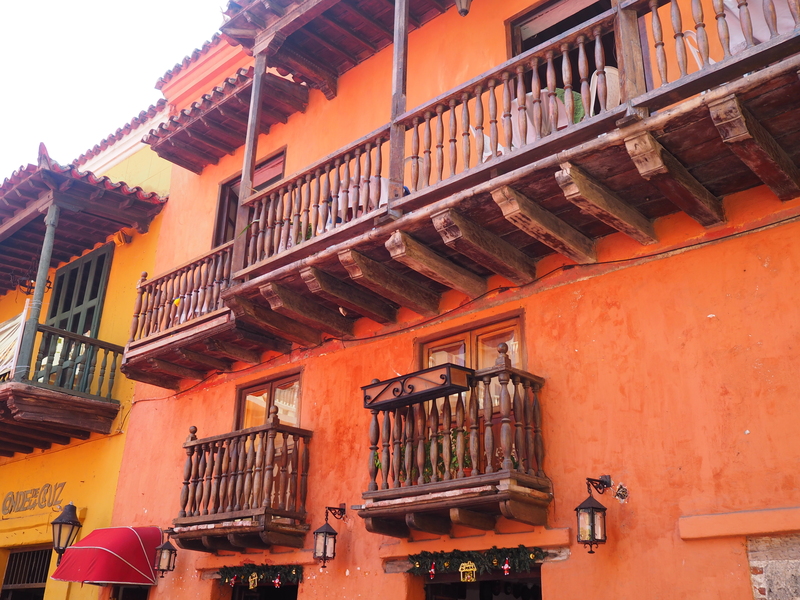 As we walked around the old city, our eyes were treated to the most colourful rows of buildings and scenery. I thought that the door knocker was pretty impressive too. I went over to the door to look at the door knocker, and knocked on the door. To my surprise, someone opened the door to answer. I’m not sure why, but my immediate reaction was to run away quickly like a naughty school girl who didn’t want to get caught playing a prank. If you are the owner of this door and are reading this, I’m sorry. I will not be so rude next time and will join you for a cup of tea if this happens again (if i’m invited). After a quick wander and shop (Colombian Emeralds included!) 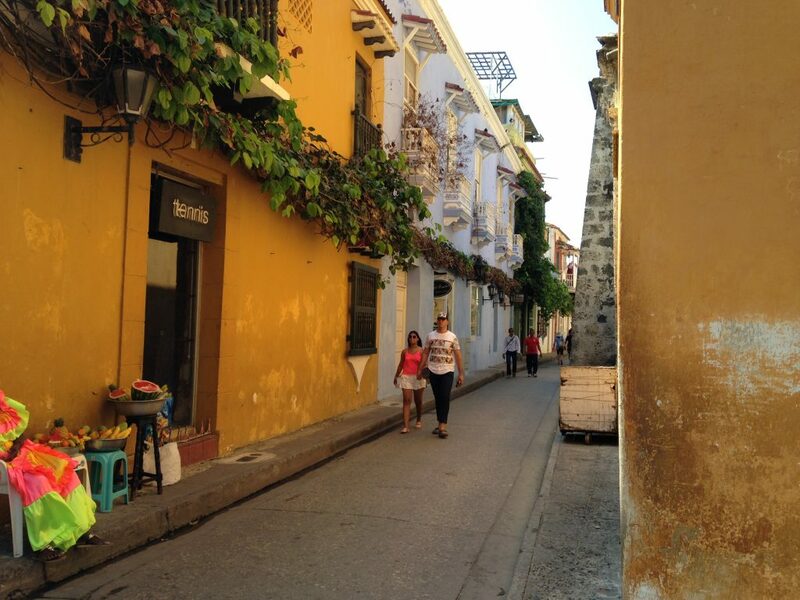 around the old city, we headed back to the cruise in time for our departure to our next destination. 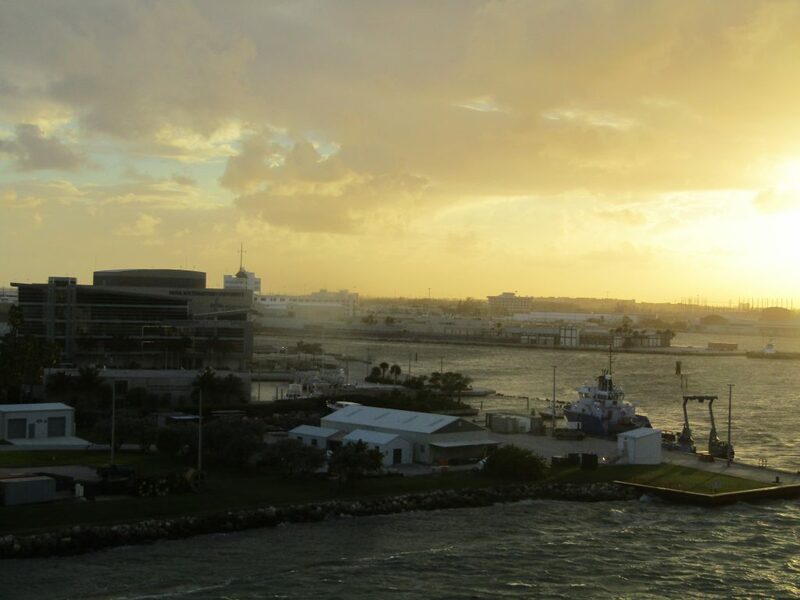 Following another night on the high seas, we woke up to a spectacular sight. 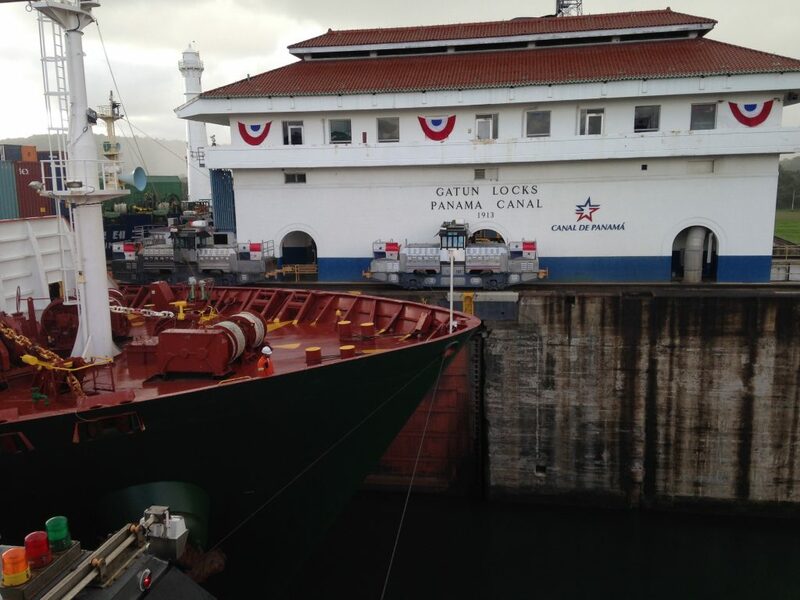 We had arrived at one part of the Panama Canal. 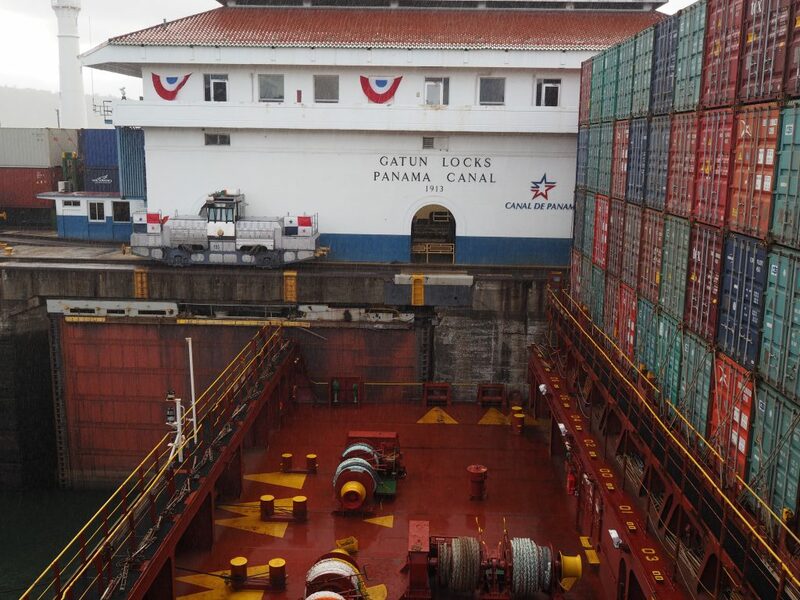 We passed through the Gatun lock system. From the ship, it looked like it was a really tight squeeze! Gatun locks, Panama Canal, Panama. 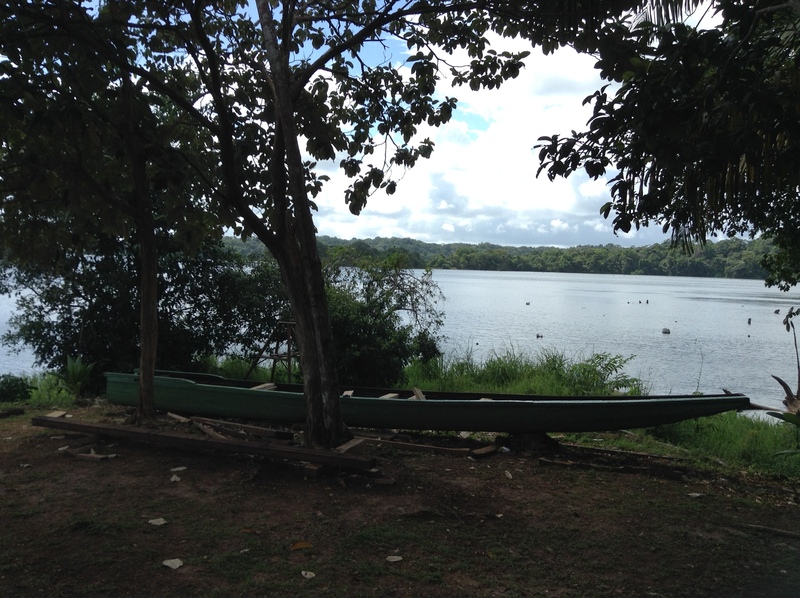 After passing through the Gatun locks, we arrived at one of the largest man-made lakes in the world, Gatun Lake. 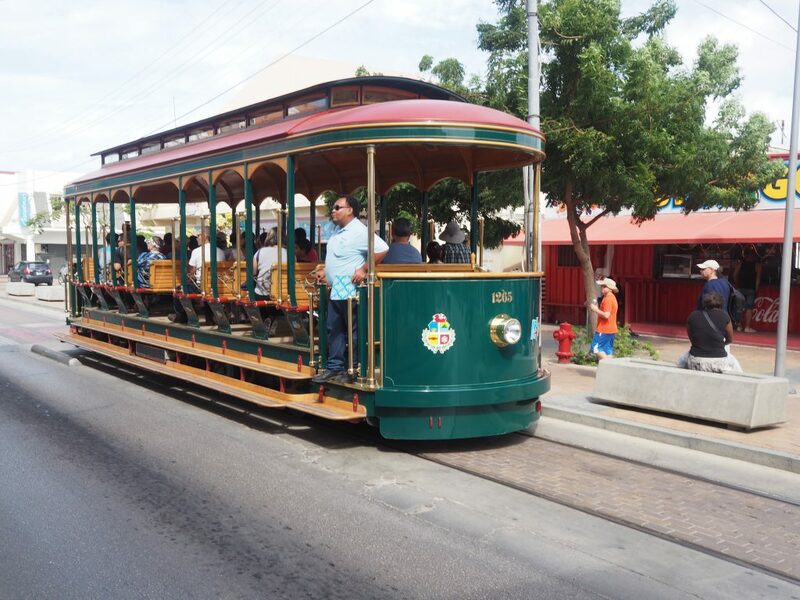 We took a tender to the shore, and then boarded our bus for our tour. 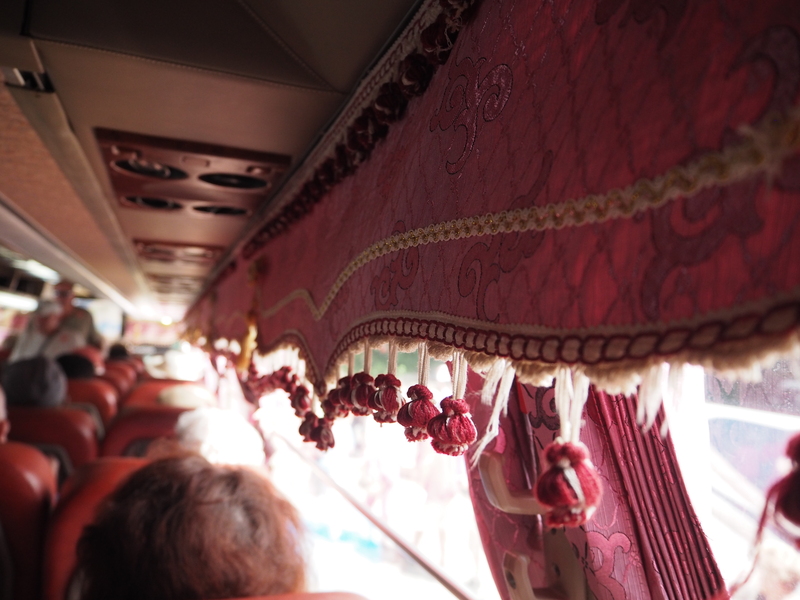 Curtains with tassels on our tour bus, Panama. 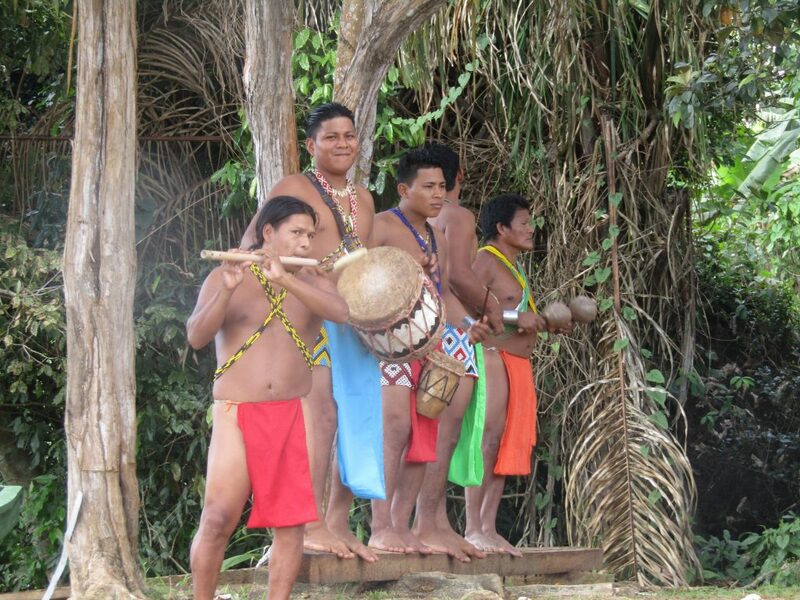 Our tour bus took us to a wharf on Gatun lake, where we boarded a boat to take us to an Embera Indian village. 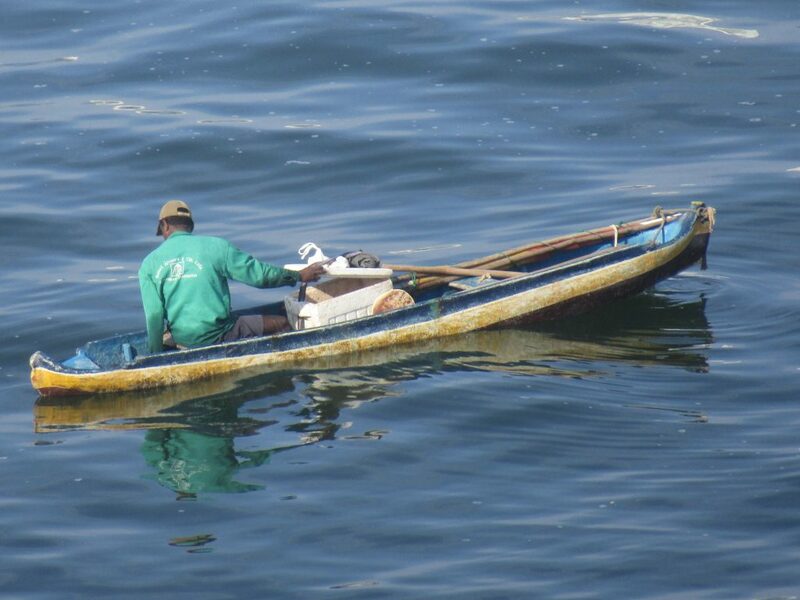 Whilst on the boat, we were constantly on the lookout for wildlife. 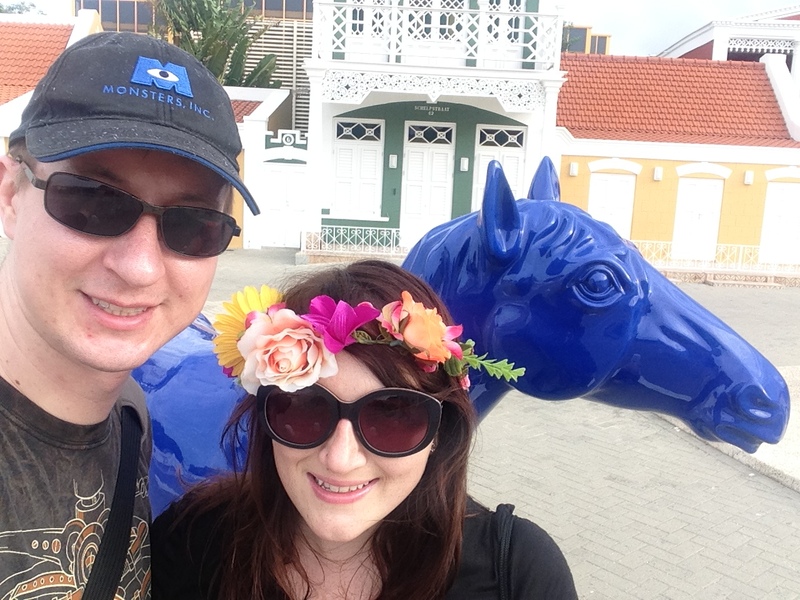 We managed to spot howler monkeys, an iguana, a SLOTH, and a baby crocodile. 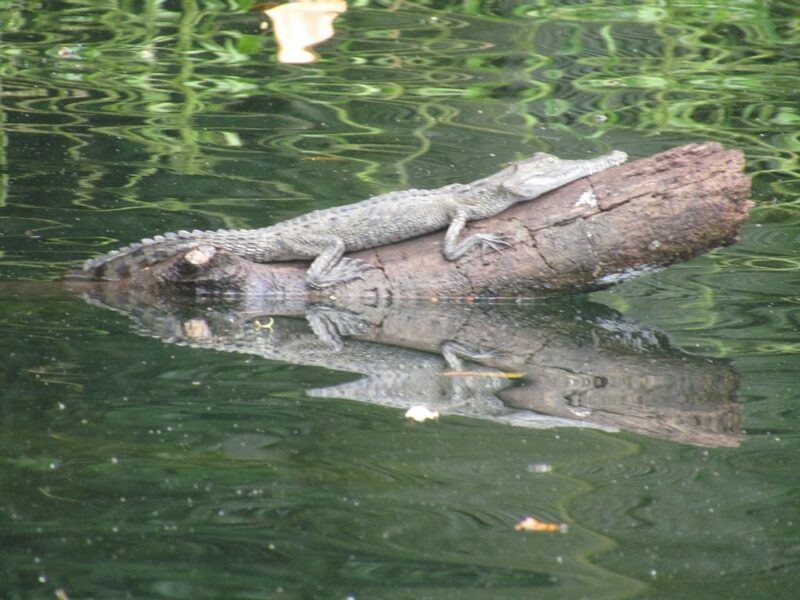 Baby crocodile on Gatun Lake, Panama. 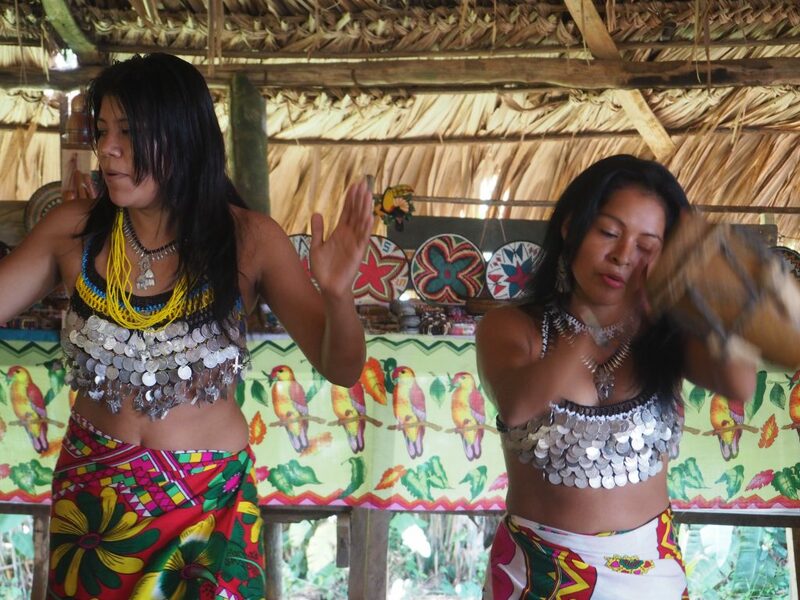 On arrival to the Embera Indian village, we were greeted to a traditional performance of music and dancing. 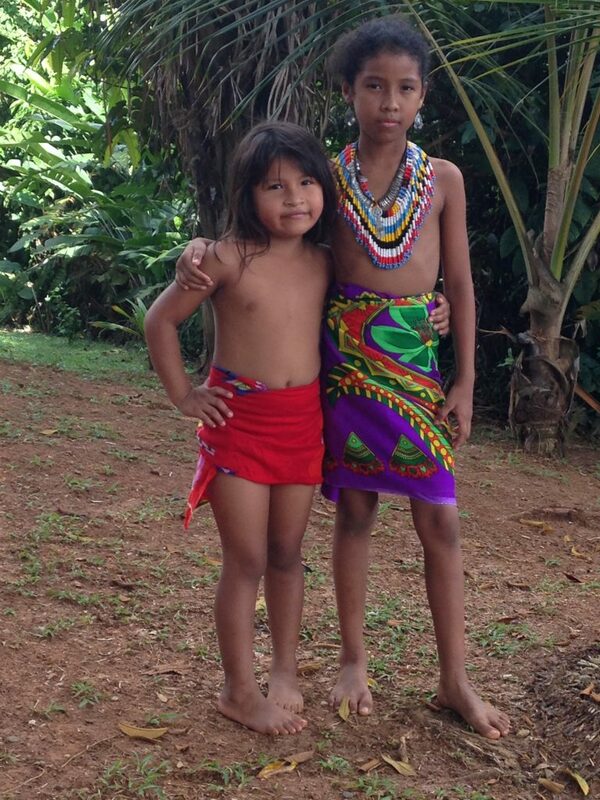 Embera Indian Village, Gatun Lake, Panama. The chief told us that the women in the village don’t traditionally wear a top, but wear a bra to cover up for visitors that they make out of coins donated by tourists. After our short visit to the village, we made the journey back to our bus. 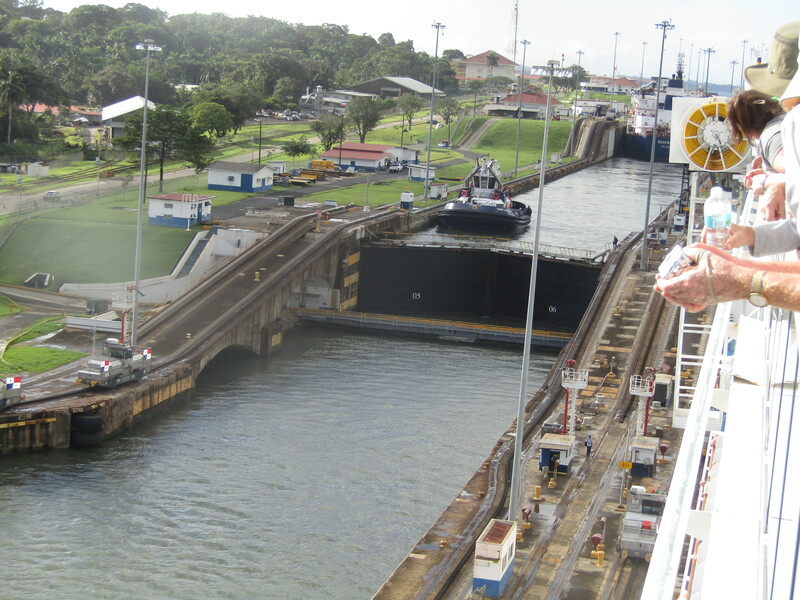 We drove through a part of a new locks system of the Panama Canal, which is due to be completed by the end of 2017. Construction site of a new locks system of the Panama Canal, Panama. 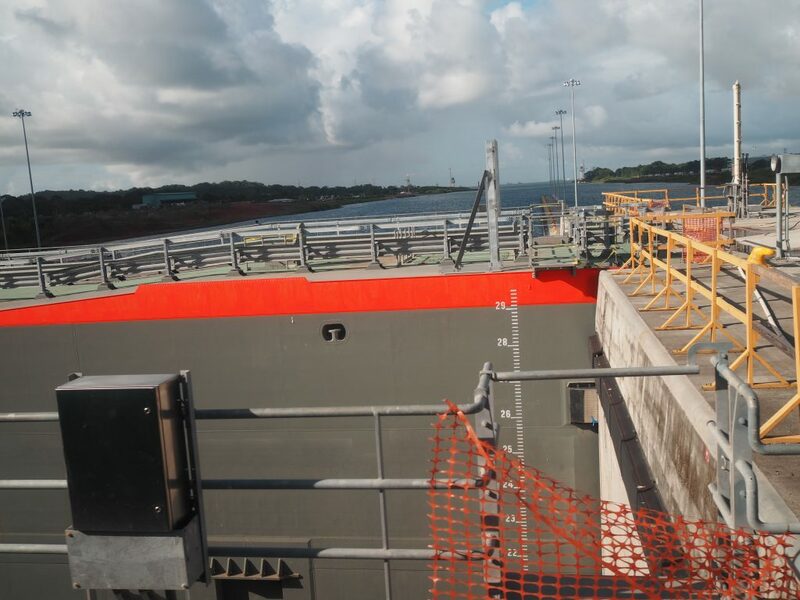 Our next destination was to a viewing platform to get a closer look at the Gatun lock system. We watched a rather large cargo ship carrying shipping containers pass through the Gatun locks. There was approximately 30 cm of clearance on either side of the ship. It was an interesting sight at first, but after a while, watching a large ship slowly crawl through the Panama Canal was like watching paint dry. I was ready to see something else. Soon! 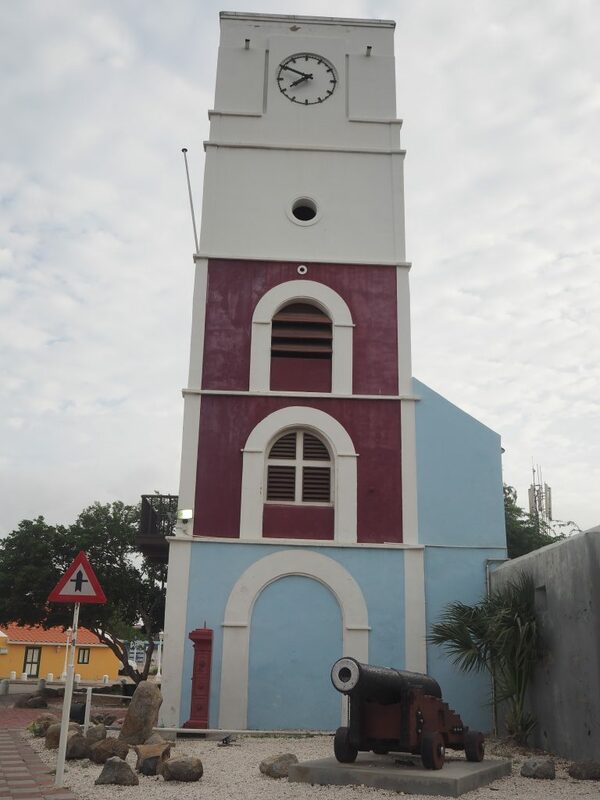 We hopped back onto the bus again and were taken to where our cruise would be waiting for us, a place called Colon. 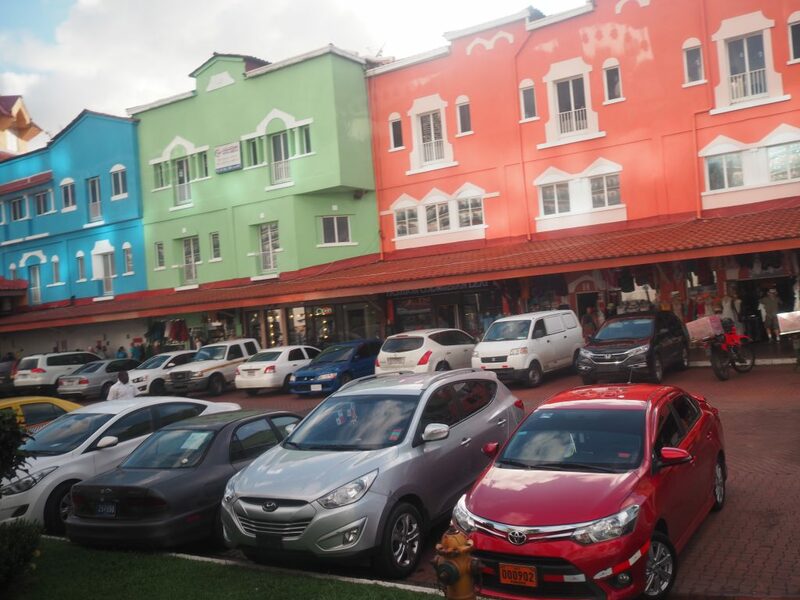 Although it had some pretty coloured buildings at the port, the only places to visit there were some crappy (i’m sorry I had to go there) souvenir shops. We boarded the cruise ship once again. There was a note left for us in our room. It said that our tour to the Sloth Sanctuary in Costa Rica the next day had been cancelled. This was a DISASTER! I nearly cried. We marched over to the tour desk as soon as we could to find out what had happened. They could not explain why the tour had been cancelled, but told us to choose a different tour instead. I decided to call the Queen of Sloths of the Sloth Sanctuary, Judy, to get some answers. She actually answered the phone. She said that the Sloth Sanctuary would be open and she would welcome us for a tour. We decided that we would just make our own way to the Sloth Sanctuary the following day. Crisis averted. Phew! …to be continued in part 3.